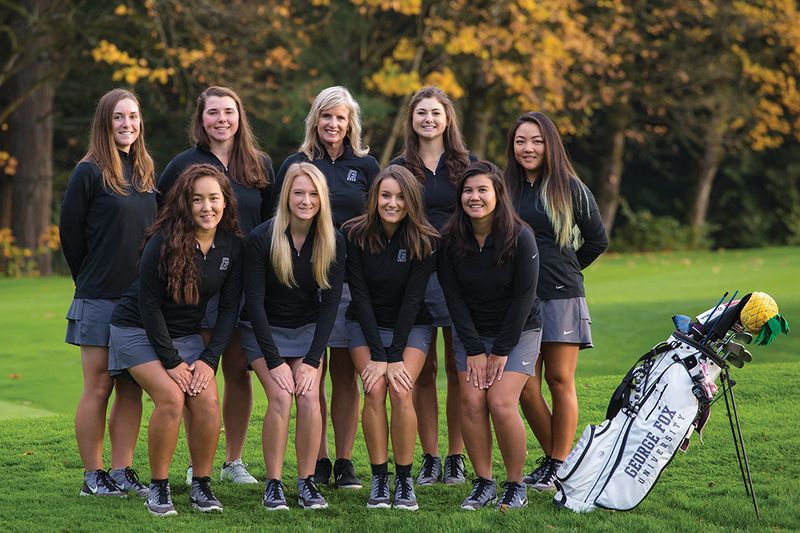 For the first time in history, the George Fox women’s golf team is the top-ranked program in the nation at the NCAA Division III level. The ranking, first announced Oct. 12 on golfstat.com, came after back-to-back dominant performances in which the Bruins won the Culturame Classic by 28 strokes and the Northwest Conference Fall Classic by 18 strokes. The team’s highest previous ranking was second, which the Bruins held for the entire 2015-16 season. The team is led by senior Sydney Maluenda, who individually won both the Culturame Classic and the NWC Fall Classic. She is currently ranked fifth nationally in individual scoring average, followed closely by junior Kristin Elich, who is tied for sixth.